Are you a current Oregon State University undergrad or graduate student? OSU Press seeks highly qualified and motivated student to fill our annual internship position. This paid internship provides an outstanding introduction to scholarly book publishing, an opportunity to gain hands-on experience in the general operations of a university publishing house, and the opportunity to work with publishing and library professionals. 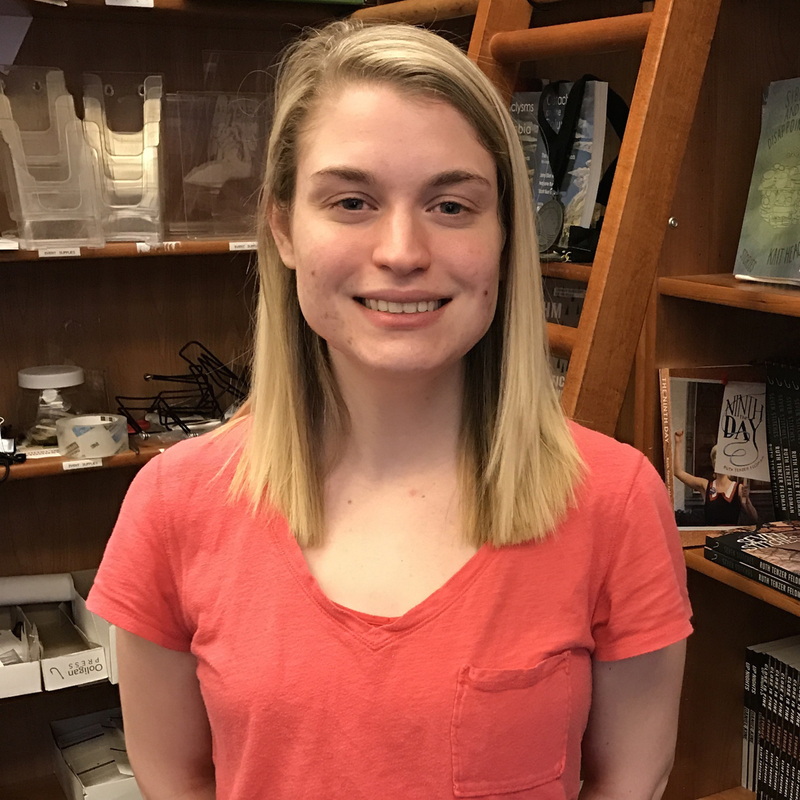 The Griffis intern plays a vital role in the Press’s success and is an indispensable member of the OSU Press publishing team. For information on how to apply, contact Marty Brown, marketing manager, at marty.brown@oregonstate.edu. OSU Press: Why did you choose to pursue a master's in English? Genovese: I have always loved literature and been fascinated by the written word. It's amazing to me how much can be communicated through text on a page, and I love the opportunity an English degree offers to analyze how ideas, cultural perspectives, and language on the page are so intregally linked throughout the history of the written word. OSU Press: Why did you choose to go to OSU? Genovese:OSU has an incredible, well-funded program with wonderful faculty, an excellent and supportive environment, and amazing teaching opportunities. OSU Press: Why did you want to intern with the Press? Genovese: I was interested in learning more about University Publishing. I used to work at a small publishing company and really enjoyed it, so I thought the OSU Press would be a good opportunity to continue gaining experience in that arena. OSU Press: What was your favorite aspect of working for the Press? Genovese: The incredible and supportive coworkers! And all of the awesome authors I had the opportunity to work with and highlight, and the amazing books I was able to help promote. I honestly believe the work the Press is doing is having an important impact on the world, and I was very glad to be a part of it! OSU Press: What are you doing now? Genovese: Currently I am finishing up my last year of my masters and looking for employment. So for the time being, I will be a stay-at-home mom and continue working to grow my freelance communications business. OSU Press: How did you internship with the Press influence your career choices and/or your choice to continue your education? Genovese: The OSU Press internship has been a great networking opportunity, and has provided me with unique job experience. I have become more confindent in my professional persona and expanded my knowledge in the interworkings of University Presses. I have really enjoyed working for the press and would love to continue working for University Presses in the future! OSU Press: What was your most memorable moment with the Press? Genovese: I really enjoyed the opportunity to help man the booth at Wordstock and meet avid readers and wonderful authors. I also really appreciated being included in a Board Meeting - it was a valuable learning experience and wonderful to meet new people who are as invested in producing top-quality scholarship for academic and public audiences alike. I'm also really looking forward to the AAUP Conference in San Francisco coming up this weekend! OSU Press: Why did you choose to study English? Schwehr: Growing up I spent all of my free time locked (voluntarily) in my room reading. I wrote and illustrated my own stories, and I now love to write creative short stories. I find English to be an extremely insightful area of study and it gives so many opportunities to the public and to the self. Schwehr: This may be obvious, but I love the written word. It can convey so much and be interpreted in infinitely different ways. While I do hope to write my own book someday, I knew that wasn’t all it took to be successful as an author. It was important to me that I learned the trade behind the distribution and general process of putting a book on the market, the actual marketing of said book and so much more. It was my dream job in so many different ways. Schwehr: Having the opportunity to work with the authors has been an excellent experience for me (and it has definitely helped me with my people skills). I remember the very first email I sent out to an author about a blog post. I had been so nervous about contacting this person: whether or not they would take me seriously, if I was being clear and concise, was I being professional enough or was I too rigid? Looking back at those initial emails, I have learned so much about the people whose names were printed on the covers of these books, whose words filled page after page from cover to cover. Their stories were fascinating, and it really enabled me to take a look around at others and wonder what kind of message or information they may hope to spread one day. What inspired them? What drove them to do what they’ve done with their lives? Where would they go? Schwehr: Currently I am finishing up my last year of my undergraduate studies, while working on the first year of my masters here at OSU through the Accelerated Masters Program in English. Schwehr: Working with the Press has been especially enlightening to my own goals, and while I’ve begun playing with the idea of another possible career field, my choice to continue my education here at OSU is something I may not have done had I not been an intern here at the Press. I’ve really grown socially through this job, and I knew that I was not ready to leave Corvallis yet, as I had finally broken out of my shell and begun to use some of the skills I had developed through this job in my personal life. It made me realize how much more there was I still wanted to learn here, from both the University and those who I’ve met along the way. Schwehr: I find this to be a strangely difficult question. 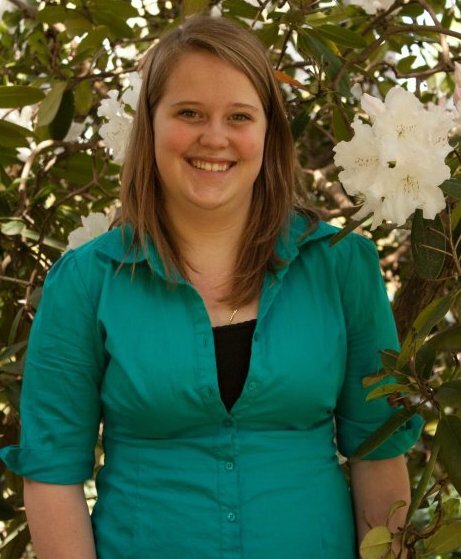 OSU Press's 2015-2016 Griffis Publishing intern, Liz Pilcher, graduated from Oregon State University in 2016 with a degree in Digital Communication Arts. OSU Press: Why did you choose to study Digital Communication Arts (DCA)? Pilcher: I chose DCA because I love art, photography, videography and wanted to improve my media skills in those areas. OSU Press: Why did you decide to go to Oregon State University? Pilcher: OSU provided a unique media program that included areas of study that the other universities I looked at didn't offer in their media majors. Pilcher: I've always had a love for books and I wanted to learn more about book publishing while being able to provide my media skills to the Press. Pilcher: I really enjoyed working with the authors, especially when they were being featured in the blog and I could learn more about them as individuals and hear about their book's publishing process from the author's perspective. Pilcher: I am a first year graduate student at Portland State University studying Book Publishing, working for Ooligan Press within the publishing program, and working as an intern for Overcup Press. Pilcher: I wasn't sure if I wanted to continue my studies after graduating from OSU until I had my internship with the Press. The Griffis internship allowed me to learn more about publishing and inspired me to apply for graduate school to pursue a career in publishing. Pilcher: My most memorable moment was my last day of work. I was finishing up some final projects with that bittersweet feeling of being so grateful for my experiences at the Press while realizing how much I would miss working there. I was able to try so many new things, worked with wonderful people, and had such a great overall experience that I was sad for it to end and say goodbye. I couldn't have asked for a better internship while at OSU.